Facebook is Charging – What’s Next for Your Page + Five REAL Tips for Traffic.
. 0 Comments Tags: ads, advertising, building, engage, facebook, facebook advertising, list building, lists, marketing, newsketters, newsletter, pages, pay, promoting posts, promotion. by Gavin Seim: Now here’s the reality of your Facebook page: If you want the majority of your connections to see your posts you have to PAY – Love it or hate it (mostly hate it), that’s how it is. We can complain about how people subscribed to our posts, how Facebook is using bait and switch on us. That’s is probably true. But they own the space and it’s a business. Many of us saw this coming. And yet we may not have been as prepared as we should have. There’s some good news though. Facebook pages themselves are still free. That’s good. And if you post something really, really, REALLY engaging more people will see it than average. That’s cool. Though still not everyone who likes your page. That’s not cool. 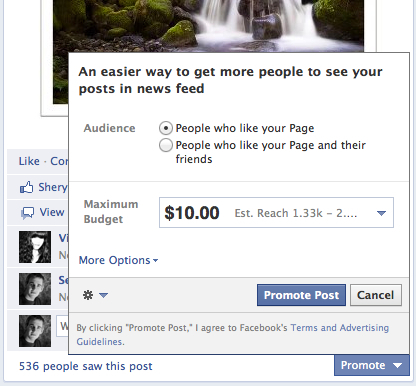 From what I’m seeing on pages, (and I have quite a few of them,) a post generally gets seen by 10-25% of your fans. Sometimes less. That’s bad. So if you want to get seen, you PAY to promote the post. For example on my photography page which has around 2500 fans, I’ll pay about $10 for most of them to see it. 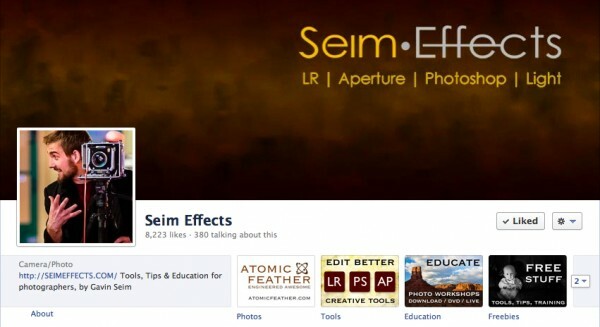 For my Seim Effects page that has closer to 8k fans. It might cost $30. This can work, but it’s too costly for every post. We’ll come back to that. First I think we’ve come to rely too much on social networks. Even those of us that make blog posts have come to rely solely pages, tweets and the like for the traffic to our sites. Higher content saturation and low interaction reduce the value of our space. But the problem with social network reliance it goes beyond that. Facebook censorship is bad. In fact recently I was BLOCKED from Facebook for 24 hours for posting this portrait on my page, titled The Bath. I can’t operate a business like a two year old, wondering if I’m going to get a Facebook Spanking every time I post something or open my mouth. I can’t rely on a system like that. At least not entirely. So all this has made me evaluate how I use social networks. How we can be more independent and build Content Freedom. There’s always everyday social network tips like posting good content. How images get more interaction than plain posts. How you need to be interesting and visually appealing. These are basic rules of engagement. But lets go deeper. Here’s what I’ve learned. Tips on not only how to maximize what’s left of Pages, but to step further away from reliance on social networks while maximizing how we use them to gain the valuable traffic. 5. Cross Planning Your Content. Regardless of where you post you need to engage your viewers and make sure you’re not posting crud. If you post photos they should shine. If you make products, make them look good. If you’re monologuing like me, make it worth it. As Captain Picard once said – “Engage.” Take the time to refine your brand and showcase things the best way you can. Use all this to get traffic to your own site. Always make it easy to share, subscribe and engage. People won’t generally go out of their way for it. Keep it classy, but easy to click. In this share bar for my new EXposed workshop, I used a direct call to action here. This is not always necessary bit can be nice on static pages. Finally I cross promote everything with links. I’ve been doing it all through this post. I hate popup overlays and page blocking ads. But extensive linking to topics increases engagement. I get far better click through rate sin newsletters using this method and it applies to posts as well. What am I doing. Simply that every time I mention other projects or products I link to them. If I mention my EXposed Workshop if it get’s mentioned again. I link it. What this does is makes it easy for the reader. If they decide they want to know more about what you mentioned they can do so without any hunting. This is the same policy I use for sharing buttons. Making it easy brings engagement. Now content is still king folks. But the king of the content will be the one who’s flexible and can keep people connected to it. I think people sharing and interacting socially using easy to access sharing buttons is becoming more valuable than sharing on my own page. Regardless you should be making good products and great content. But then you should be planning how you will get eyeballs on your work and make it sell. Of course building elegant content connections also applies to other things like sign-up forms for your newsletter (like the one below,) RSS links and the like. Whatever it is make it easy to engage with and not too cluttered or confusing. The key to getting people to share or subscribe to your content is simplicity – That mean it’s easy. No windows, logins or extra steps. It’s true. I’m no stranger to paying for ads. I have brands like Seim Effects photo tools, the EXposed workshop and my own fine art. I need to keep people coming. While I have a limited budget, I try things. I did lots of tinkering with Facebook ads even when there was only the sidebar clips that showed up next to teeth whiteners and free power generators. But no matter how much I tried and have come back to try again I could not seem to generate great value from them. Lots of clicks, but few actual sales. Some new fans perhaps. But we see how that worked out wow that we have to pay again to get those fans to see our posts. Then came promoted posts. In one sense I was annoyed, but in another I was excited. If I came out with something exciting, I could pay for all my fans to see it. Of course, after they released that, the non-paid posts seemed to get even less attention. It’s clear Facebook is nixing views unless you pay. Pretty tacky indeed and I would rather not give them a cent just because of their bait and switch tactics. But it’s how it is for now and it can still be profitable for some things to promote posts. Truth is, promoting posts gets me far more success than sidebar ads ever did. I can generate real sales on products. Less so on selling portraits or fine art, but still a lot more people see it and I generate new followers because of their interactions. They are engaging with the promoted posts. Next came promoting posts to friends of fans. Yea, that’s why you keep seeing posts from pages you’ve never followed. As expected, the interaction on these is less. I’ve paid up to $300 to promote a single post and got hundreds of thousands of feed views and lots of new fans. But the sales conversions were less per thousand than promoting to fans. While the new page likes were nice, a lot of them seemed to come from strange countries and names. I’m not suggesting I don’t want fans from everywhere. But a lot of these seemed like the kind of names you get SEO friend requests from and I’m a bit skeptical as to who Facebook is fulfilling those paid views on. Just an observation. Finally came coupons. I did a coupon offer within days (maybe it was hours) after it released and got decent results. It’s essentially a promoted post that has a special coupon deal. These can work well, but like everything else the feeds are getting saturated with them. You’ll still need something people really want. If you offer half-off portrait session to tens of thousands of people, you’ll get eyeballs, but probably not many sales. 3. Staying Ahead of the Networks. Facebook yesterday, Pinterest today, who knows tomorrow. A content maker would be silly to ignore social networks. The key is to stay ahead of the game and not to rely on them exclusively. I maintain all my blogs and sites. But beyond that I have Twitter, G+, Facebook, Pinterest, etc. I keep my eyes open for the up and coming. But it’s not all gravy. I jump on early. G+ is still not getting much interaction. But I have a head start and if it truly takes off I’ll already have pages and a listener base there. Facebook will not last forever. At least I hope not. For someone like me who has a lot of spaces it can get confusing. My home site has a page that lists all my social networks, blogs and newsletters in one place. I can use this as a way to track and showcase new spaces I’m active on and get people following my other spaces. I made this simple graphic to use in my newsletters and other relevant areas to get people to check out that list and follow what interests them. Yes I maintain a lot of spaces, but the goal with all of them is always to drive people back to my own sites. 2. Focus on Your Sites. Whether your newsletter or your social spaces. Get people going to YOUR site. Sometimes I’ll start writing a post on Facebook and then realize it’s actually dang good. I’ll hop over here, make the post and link to it here rather than just posting on Facebook where it will quickly fade into oblivion. A post like this one will bring in traffic, get likes, get search rank and raise the overall value of my site. A Facebook post might get some interaction, but it will soon be gone. I have blog posts years old still making me money from traffic. That does not happen on social networks. They are TODAY tools. No matter you sell, having good content on” your” site will pay off. I also add nice profile photos icons and other eye appeal when possible. Making it looks nice draws eyeballs. Note the screenshot of my Seim Effects page. I’ve filled with the tabs using custom tabs and images (I do this by adding the Static HTML app on my page). These lead to lists and free content that ultimately lead back to MY sites. The interface making a post in HootSuite. I pay for the Pro version to easily manage all my spaces and it saves me loads of time. But inf you only have a couple spaces to manage they also have a free version. For sharing content. I use Hoot Suite Pro. With as many pages and profiles as I have, HS Pro more than pays for itself. I can now decide when and where I want to share content over time. In fact I have posts scheduled more than a year in advance. Posts that link to articles like this one. I own the content and it’s on my site. There’s that value once again. I can also share links on six or eight profiles at a time, twitter, Facebook etc (just make sure the target audience is right). The bottom line is build great content in places “you” control – Then, build a workflow, not only to share it and get traffic, but to turn that traffic into returning traffic and or sales. Of course I’ll also mix in links to other interesting content, post tips and the like. Wherever your sharing, don’t always link to your own sites. Keep it interesting and engaging. 1: Content Freedom & Newsletters. Number ONE: Is to become less reliant on Facebook and social networks. That’s the real point today – Yes, we’re going to use the social tools of today. But lets go beyond that. You should already have your own site and blog for your best content. Why would you want your ideas and art to only exist only on a place that you cannot control, like Facebook. All my sites use WordPress and many of them have related blogs and content, newsletters and the like. There’s a reason I have difference sites for different projects. It’s work but if keeps mt brands focused. And the best part is I have control. So, while I still post my latest content on social networks, I can’t fully rely on them due to cost, interactions, censorship. That’s why I started looking for Content Freedom. The idea is simple. We the content makers need to stay in control of OUR content. We need to always have a way to reach our connections without social tools, so that if today’s social tools disappear we can use our own connections to get people following tomorrow’s page. For me this was the email newsletter – It’s a simple tool that many of us let fade into oblivion as Facebook became the wonderland for content linking. And no wonder! I remember just a year or so ago when I would post something on my page or Twitter and have dozens of likes and comments in no time. That’s all changed now. People are jaded to pages and even if you pay, the interaction is down. After The Bath I started the Light Letter. I had the Seim Effects newsletter already but I wanted something more. The Light letter engaging newsletter for photographers and art lovers. It’s about my work, but it also includes tips, art history and more. The plan was simple. People don’t get very excited about more mail in their inbox. So make a better letter. Engaging and that people would want to read. I embed my sign up form on sites like this and I actually built the Light Letter it’s own website. I made it a real part of my brand. Not an afterthought. So I used social networks to get people to sign up. I even paid to promote a few posts. Because once I have them, I’ve freed my connection to that person. I control the contact as long as they still like what they see. In planning this I also sent one final email to my dead newsletter lists. I told them I had a brand new project and they could get on board. I made them opt in however, because I wanted a high quality list of people who really want my content. By the time I sent the first issue I had over 500 double opt-in subscribers and I got more than a 66% open rate. That’s vastly above industry averages. Now just a few weeks later I’m well over 700. Check out the Light Letter site to see how I set it up as something of value for art enthusiasts. I believe this focus has really increased subscriptions. People see this is not an afterthought but as something with value. Why? Because I give it value. You can also subscribe below if you want to see more. This is the sign up form I use. What I’ve realized in all this is that while I may use a social network today to get a visit to a post, I need to connect with them outside of that. New fans on my pages are cool. But whats better is having them subscribe to my RSS, or better yet to my newsletters where I can reach out to them without a corporate entity dictating how it’s done. A social network can be great for ongoing quick interactions. For example I only send a newsletter once every 1-6 weeks. This is good because it makes me less annoying and more interesting. In between newsletters I can use the latest social network. But in case it’s gone tomorrow, I still have a way to connect with those people and take my thoughts elsewhere. That’s Content Freedom. There’s no instant magic to building customers. But quality content is king and you need a plan to get that content out, rain or shine. Use social networks, but build subscribers in a way you control as well. Build a following of your RSS feed like I have up in the top right. Build a following of your newsletter like I do below. Use that to lead people to sites that your control and content you own. Not that you’ve handed over to someone else or lost in the the pages of social infinity. Those are just for quick engagements and sending people to your sites on a whim. A visual graphic from the Light Letter. A Few Final Tips: One little trick I mentioned is promoted posts on my Facebook pages to get readers to join my Light Letter. I just post something cool as I tell them I’m trying to move away from Facebook reliance. This means that instead of my promoted post only getting likes, I get new subscribers. A list of connections that I control and can reach out to with quality content in my own way. I also take my list building seriously. I want subscribers that are actually interested so I don’t use pages to try and force them to subscribe. My lists is not an after thought. I built a site to promote the Light Letter and store archives. I took the time to refine the sign up forms so they looked good and build short codes using something like HTML Snippets for WordPress so I could quickly insert those forms like you see below. It’s a workflow and it won’t happen by itself. But it’s worth taking the time. If you want to engage people with whatever content you produce, it will be an ongoing effort. There’s no way around that so build a plan. I use my own blogs to manage my content and get organic search rank. I use Hoote Suite to manage the workflow of sharing content. Finally I use the quality lists I’ve built to reach out on my terms and as such, I get better interactions and sales. Whatever you sell, a well made ENGAGING newsletter is money in the bank. I mentioned that for sending emails I use MailChimp. There’s lots of options here, but they work well. It’s a powerful service that gives you design control and saves the many problems associated with sending hundreds of emails from your inbox. Gavin Seim is Portraitist, Pictorialist & Speaker. He’s producer of Seim Effects Tools and the EXposed Workshop. 10 Power Tips for Building & Growing Your Facebook Page. A Photographer’s Confession – How I Paid for Facebook Fans.